Beware: Statins may increase your diabetes risk! Health recommendations are changing so often, it can give you whiplash. What is true today, may not be true tomorrow, and this is especially true as new studies continue to turn old recommendations on their heads! The latest to break the mold? The common recommendation that all patients with diabetes take statin drugs to reduce their risk of heart disease. If your doctor told you to take cholesterol-lowering statin drugs to be more proactive about heart disease, you may want to bring him or her a copy of a recent study published March 4, 2015, in Diabetologia. In fact, the most proactive thing you can do is to stay informed! The new study says that taking statins gives you an increased risk for diabetes by almost 50 percent. And if you already have diabetes and start taking statins, they may actually make your condition worse. So now the question is whether the benefits of statin drugs (reducing cholesterol) outweigh the risks (an increased risk for diabetes or for worsening existing diabetes). An independent Cochrane Review says no, finding that the heart-health benefits of statins were too small to justify the risks. 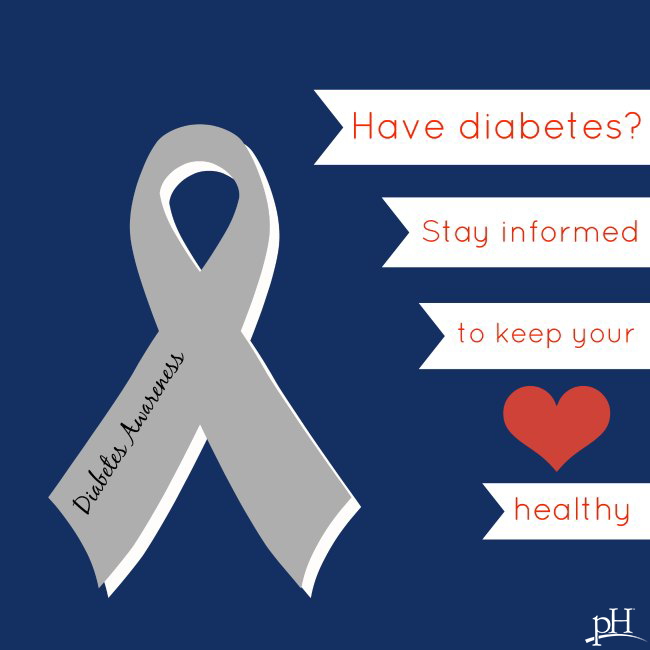 So are there other ways you can be proactive about your heart health if you have diabetes? Be an informed patient. Partner with your doctor to discuss your options. Bring up any questions or concerns you have regarding your medications. Make sure you understand how to use the medication, what it does and what the side effects are. If you aren’t sure where to start, talk to a patient advocate! Find ways to stress less. Stress can not only wreak havoc on your diabetes, but it can also lead to higher cholesterol. So if you want to keep both in check, make stress management a priority. You’ll have to find stress techniques that work for you, but perhaps try yoga! It’s been shown to increase blood flow, reduce blood pressure and promote feelings of wellbeing. Get your magnesium levels checked. Dr. Carolyn Dean, author of The Magnesium Miracle, says magnesium deficiency may be at the root of diabetes, high blood pressure and high cholesterol. She warns that doctors often take a “one-size-fits-all” approach, improperly prescribing drugs for conditions that are actually caused by magnesium deficiency. A quick blood test can let you know if you’re deficient, but not all doctors properly test for it. Keep in mind, the most important thing is to be proactive and stay informed. Lead a healthy, active lifestyle and eat diabetes-friendly and heart-healthy meals. And of course, never stop using your medications without first consulting a knowledgeable doctor.